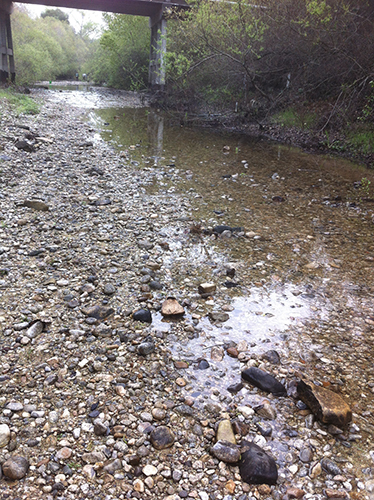 "The current dry spell may remind some locals of the Drought of 1976–77, when USGS records show that this section of the Carmel River was dry from May 13, 1976, through December 17, 1977." Carmel River near Carmel on March 4, 2014. The site was on the verge of going dry again. USGS photograph by David W. Affield.